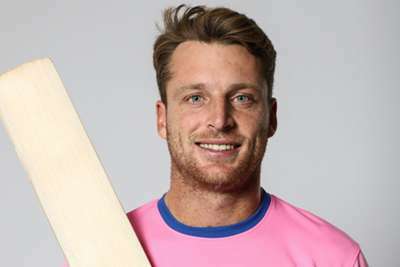 Rajasthan Royals threatened to waste a Jos Buttler batting masterclass before limping to a four-wicket win over Mumbai Indians on Saturday. Quinton de Kock made 81 and Rohit Sharma 47 as Mumbai posted 187-5 at the Wankhede Stadium, a score that looked competitive until Buttler fired in Rajasthan's reply, smashing 89 from just 43 deliveries. The England international allowed opening partner Ajinkya Rahane to do the early damage but the departure of his captain, caught for 37 when sweeping Krunal Pandya out to deep square leg, led to Buttler changing gears. Alzarri Joseph suffered at the hands of the right-hander, conceding 28 runs in one over as the Royals' equation suddenly dropped to a run-a-ball rate. Yet they made hard work of completing the job, losing four wickets in a hurry to give Mumbai hope before Shreyas Gopal got his side home with three balls to spare with a boundary off Hardik Pandya. 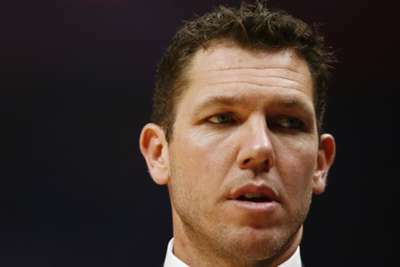 The Royals - who were without the injured Ben Stokes - eventually picked up just their second victory of the campaign, with Mumbai missing out on the chance to leapfrog over Kolkata Knight Riders into second place in the table. In the city of dreams, and what a dreamy finish to the game that was! On April 6, Joseph claimed 6-12 on his Mumbai debut, the best bowling figures in the history of the Indian Premier League. A week on from his record-breaking start in the competition, the West Indies paceman had a vastly different Twenty20 experience. His three overs in the game went for 53 runs, with Buttler ruining his figures. The right-hander book-ended a pair of maximums with a quartet of fours in Joseph's last over, the bowler unable to find a way to stem the flow of boundaries despite changes in both his pace and length. Buttler's quest to hit a seventh successive boundary resulted in his downfall, however, as he only picked out long on when trying to deposit Rahul Chahar over the rope. Rohit and De Kock shared an opening stand worth 96 for the home team, with the former back leading the team again after missing the victory over Kings XI Punjab due to injury. South African De Kock hit four maximums before falling to Jofra Archer, who finished with figures of 3-39. However, his departure set the scene for a late cameo from Hardik Pandya, the India all-rounder belting three sixes as he contributed an unbeaten 28 from just 11 deliveries. His onslaught gave Mumbai a much-needed lift in the closing overs, though Buttler's belligerent hitting meant it was the Royals who came out on top in the end.